Meryl Brandwein, RD/LDN, has been studying food and healing for over 20 years and is a leader in the area of functional and integrative nutrition. She received her degree from the University of Delaware and holds advanced certifications from the Institute of Functional Medicine, Professional Compounding Centers of America (PCAA) in a number of specialty areas, Oncology Integrative Certifications, Food As Medicine for Women is one of the only nutritionists in South Florida certified in Genomics and Culinary Genomics. Meryl’s private nutrition practice serves individuals, groups and corporations and her areas of expertise include weight loss and food lifestyle change, hormonal imbalances, anti-aging nutrition, childhood obesity and medical nutritional therapy for chronic conditions and diseases, including cancer nutrition therapies. She incorporates the integration of whole foods into overall health and wellness programs and strategies. She personally counsels clients and works to transition her clients to a healthier way of eating both as an educator and nutritionist. Meryl also uses a multidisciplinary team approach and works daily with doctors, psychologists and therapists. Her physician network includes Ob/Gyn’s, Gastroenterologists, Cardiologists, Internists and Cosmetic Surgeons. Meryl is a regular contributor to numerous publications and blogs including The Parent Notebook, Sports Link Magazine, The Sun-Sentinel and The Miami Herald SOBE Fit. 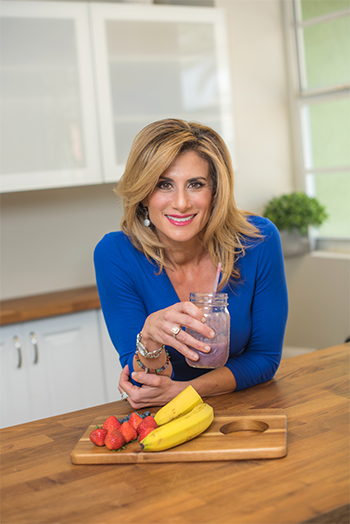 She has made several appearances on Good Morning South Florida and was the Nutritionist for Lifetime’s Television show The Balancing Act: Mission Makeover. She recently appeared on SFLCW to discuss Healthy Eating and Healthy Living and Treating Disease and Symptoms with Nutritional Foods.